To find a book in the library, you need to know the call number. It is located in the left hand corner of the record. You can also tell if a book is in the library or checked out by someone. There are different kinds of call numbers. F is a Fiction book. REF is a Reference book. These books aren't checked out-- they are always in the library for you to use. They include a lot of different types of encyclopedias, atlases, almanacs, and dictionaries. 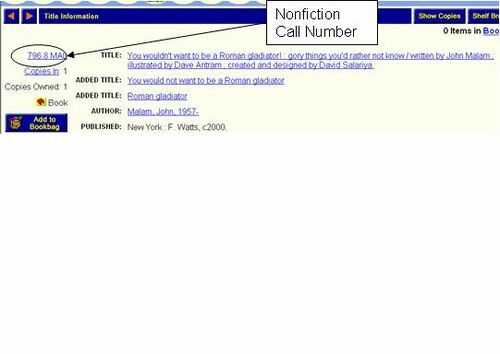 Nonfiction books have call numbers that begin with numbers. Drawing books are in the 740s, sports books are in the 790s, books about UFOs are in the 001s. Wild animals are found in the 590s. Cookbooks, medicine, car books, and pets are all found in the 600s (technology). Reference books also use these numbers. Biographies are found in the 92s, although they are in the 920s if they are about more than one person. To find the numbers of your favorite subjects, type the subject in the box and click on the subject button. You will find a list of subjects. Click on a subject to see the titles. Take a look at PV High School's library catalog or Chico High School's library catalog. Look familiar? 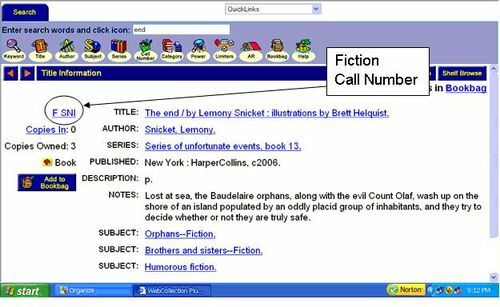 Find Bidwell's Online Library Catalog by going to the Bidwell Library page and clicking on the magnifying glass. 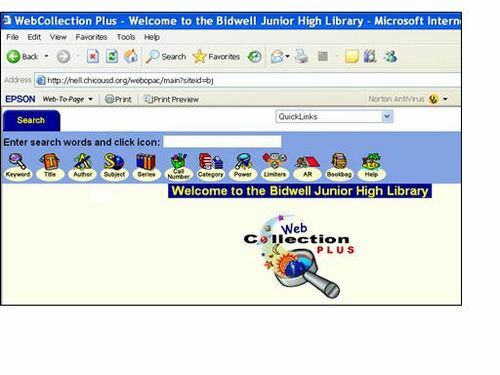 Bidwell's Library page.